Now that Martin was employed at EGM, we set about making arrangements for me to spend the weekend at his dad's so we could hang out and try some of the latest games, most of which I'd never seen before. Remember, back then there were no Internet trailers (or Internet at all, funny to think about such a time being a mere 15 years ago), so I'd only seen pictures or read descriptions of most of these games. But pictures of course can't compare with seeing, hearing, and playing. Martin had also spoken with his boss, the Editor-in-Chief of EGM and Founder of Sendai Publishing (and my future boss as well), Steve Harris. Steve had given permission for me to come and visit the office with Martin. I probably didn’t stop smiling the entire weekend. 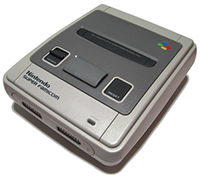 At the time I was still playing my NES, so the idea of playing Super Nintendo for the first time, as well as Sega Genesis, TurboGrafx CD and a few Japanese-only games and systems was too much for my tiny brain to handle. It would have already been a fun weekend just spent with my friend, but add all the games, plus the fact I was going to visit EGM's offices, and you've got yourself one over-excited gamer. In the week prior I'd been telling my other friends what I was doing and they had suggested that I record our gaming sessions so they could see all of the games as well. Martin made this no problem, and I ended up with three full videotapes of the latest games, including Actraiser and Gradius III for SNES, Ys Book 1&2 for TurboGrafx CD, and Castlevania III for NES. Why a NES game? Because Martin had the Japanese version of Castlevania III which included an extra sound chip (Konami's VRC6) to give the music an extra kick the U.S. version did not have. Cool stuff! The next morning, Martin and I headed out to the Sendai office. I nearly peed myself in anticipation. When we arrived, the first thing I noticed were giant posters of some of the past EGM covers adorning the walls. Inside the office itself were about six cubicles with various people (I'd come to know very well later) typing away. Martin sat me down at a table and laid some games on the table that hadn't been released yet. Some were beta, some were review copies, some didn't even have an outer case, just an EEPROM with the game title written in Sharpie on a white label. He had a couple things to take care of at his desk so he left me to play. After a while Martin returned with an older fellow, very tall, balding, maybe 50-ish years old. He introduced me to Ed Semrad, EGM's Senior Editor. I smiled and shook his hand, this was so damn cool! We talked about my possible future involvement at the magazine, and I tried desperately to play it cool and let him know that I was very excited at the prospect, when in reality I was ready to hump his leg on the spot for a job. Martin then suggested we get lunch then he'd show me the rest of the office and maybe he'd try to find Steve. As I looked around the office, I was surprised how small and modest an operation it was. There were really like less than ten total people putting these magazines together. It was amazing how they made it all work so well. They didn't even own the building; they were just a single suite in an office park. You'd never know they were there. My first meeting with Steve is one of my favorite stories to tell. Martin and I made our way down a hallway to a room where we found a couple guys who didn't look much older than we were, messing with an office phone. I figured they were a couple of Martin's co-workers, but Martin quickly said, "Oh here he is!" Martin introduced me to Steve Harris, and his buddy Steve Ryno. Steve didn't have much to say to me directly, except "Shh, Shh!" as he and Ryno laughed and pressed buttons on the phone. As it turned out, Steve had just gotten the office's conference line installed and was eager to test it. So he was calling the Lombard 7-11 and the nearby Lisle 7-11 stores and connecting them to one another and listening to the ensuing chaos. We all laughed hysterically on speakerphone mute as two irate Pakis screamed at each other arguing over who had called who. I suppose this is what happens when a man in his early 20s has too much time and money on his hands. But at least I got a good laugh and a good story out of it. Eventually Martin and I said our goodbyes and I headed back home with every issue of EGM past and present, and three videotapes full of unreleased games to show my friends. I was hero for a day as I played the tapes back for all my friends. It was a weekend I still look back on with fond memories despite the fact I eventually worked there myself. Martin and I really had a great time. After a few months of meandering around, I finally got the call I was waiting for. Martin asked if I was ready to come on board the EGM staff. Now bear in mind, at this point I was a high school dropout. But it seemed like it was more important to Steve that people who loved and played games were writing for the magazine rather than journalism or desktop publishing/graphic design majors. As I mentioned, my early education was excellent, and as I look back at some of the things I wrote in the magazine, I'm still proud of my early writing, spelling and grammar skills despite my "dropout" status. Granted maybe some of those articles were fixed up in editing, but still I feel I did alright on my own. So here I am, dropout gamer nerd, being handed a controller and told to play games for cash. Oh, and also, we're going to teach you QuarkXPress and Adobe Photoshop, all the major desktop publishing and graphic design tools to put the magazine together. What more could I ask for? So Martin had me sit down with each of the guys in the office for a bit to get to know them, and also to learn the ropes. At this point I met Ron Marciniak, Mike Vallas, and Ken Williams. About the same time as my hire, another soon to be famous face entered the office, Terry Minnich, who would eventually become "Trickman" Terry (because he ended up working on the “Tricks of the Trade” section). So the way it worked was this: At the beginning of each month, we were given a "pagination" which was the projected layout of the magazine for the month. There was a list of every page that was to be in the issue, and next to it, a set of initials that would indicate who was assigned to work on that page. The pages weren't passed down a line to a person of a certain expertise. Everyone handled their own pages from start to finish. So we'd see Ed Semrad, who was the keeper of the new games in his office. Then we'd play the game in its entirety, and we weren’t always assigned a good game. Some of them REALLY sucked, but you had to play. As we played, we used video capture software to capture photos along the way. Then once we had the idea of the game, and enough pictures to make a layout, we'd open a QuarkXPress template to insert all of the content. If we were lucky, the company included artwork for us to use on the page. We'd cut and paste images and artwork, then create a sweet looking background in Photoshop 3.0, which would usually be lightened 200% by Ed in the editing process to make the text easier to read. Bear in mind, all of this work was done on Macintosh IIci and if you were lucky, Mac IIfx computers with about 300MB of RAM (corrected by Mark, 300MB HDD and 8MB of RAM) and then saved on Magneto-optical drives that were prone to occasional failure. It wasn't always the fastest work; a lot of what we were doing was cutting edge stuff. But the computers were also top of the line, so upgrading really wasn't an option. Also slowing down the work was the fact that we were all 17-22 year old gamers, geeking out over the new games each of us were playing, or breaking into random office supply fights and MANY practical jokes. It really didn't matter, there wasn't really a stringent schedule placed upon us by Steve, as long as we were there 8-10ish and put in 8 hours and any required overtime to meet deadlines, it was okay. So it was really up to us how and when to work. If we slacked off a bit through the week, or slept behind a Neo-Geo arcade cabinet for a few hours (which would actually happen), then we were going to pay for it by working through the weekend and possibly into the late hours of the night. We always met our deadlines, and things flowed along with precision for the most part with very little personal supervision. If you've ever seen the movie Grandma's Boy, it's pretty much spot on. So what was Steve like? I honestly don't know. I didn't know him well at all. He was relatively tall, with long black hair, mid-20s. Very distant and inaccessible as a boss, he definitely sat on a level above the rest of us, and although he was maybe five or six years older than me, he was the most intimidating man I'd ever met, next to my own father. He had a gold placard on his desk that read "Steve Harris: God-Emperor of Sendai". I'm not kidding; he really had that on his desk. I only saw his office a couple of times; he had the biggest desk and office chair I'd ever seen. If he ever had something to say directly to one of us, it was usually said through Martin or Ed. I spoke to him myself only a few times. Some of the guys who worked there hung out with him outside work, taking rides in his Lamborghini and the like. I was never one for the "bright lights-big city" lifestyle, so as exciting as it was to work there, I opted to end my day and resume my life at 5PM, to play the video games I WANTED to play. I heard Ken Williams in a podcast describe Steve as a shark, which I thought was a pretty accurate analogy. If you stood up to him, he respected you. But at 18, I was far too young and intimidated to understand that. I only knew an irrational fear of losing my job; he definitely commanded a presence when he entered the office, which wasn’t every day. My direct supervisor was Martin, and I usually dealt with him or Ed Semrad when it came to matters of day to day operation. It was Ed who gave me my very first game to write about. It was a one-page spread for Heavy Nova on Sega Genesis. I started at Sendai in late September 1991, but my name wouldn't appear in the magazine until November, and my Heavy Nova Spread didn't appear until a few months after that. Usually while we were in mid cycle on an EGM issue, we'd receive another pagination for Mega Play (the all Sega Magazine), then eventually during that month a third for Super NES Buyer's Guide (Dubbed SNBG or "sneezebag" by everyone in the office). We'd all do pages where and when we were needed and shuffle positions in order to get all three magazines out in that month. One such shuffle saw an opportunity to for me to join the Mega Play Review Crew as G.O.G. (God of Games) for the remainder of my time at the magazine. I didn't make the name up; I just took over the role from Ron Marciniak when he left Sendai for college. It was when I joined the Mega Play Review Crew that I began to learn a couple of fun facts about life at Sendai. First, making a page for Mega Play was very simple. It usually involved taking a page from EGM, changing the color scheme, shuffling the layout around, and changing the bit that read "Electronic Gaming Monthly" to "Mega Play". Also, more than a few times I began to find that some of my Review Crew scores for particularly bad games were changed during the editing process. You have to understand, that when you play every game ever released day after day, you see a lot of really good games, but also a lot of really bad games. A game that I rated at a 3/10 and blasted for terrible, unimaginative game play and graphics/sound would suddenly be rated a 5/10 and the review re-worded to put the game in a more favorable light. When I asked around the office, I was told "Ed said we have to be careful not to piss off certain companies". Some people in the office began to speculate that Ed was getting kickbacks from companies to rate the games higher. I don't really know if this was true, I guess it's possible but who knows? This story was bound to come up in this writing. This was how I left my permanent mark on gaming culture. By now everyone who has followed EGM knows the story of the mysterious Sushi-X. 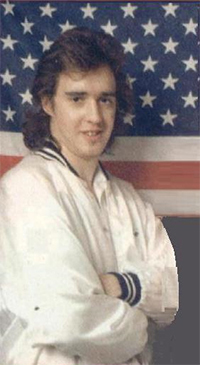 He was in reality a very American (non-ninja) named Ken Williams. Ken's job was simply to play Street Fighter II, and he excelled at his job. Street Fighter II became a phenomenon, not just in the world of gaming, but in the Sendai office as well. It became a high priority for EGM to cover this game as much a possible, so Ken played it and played it and laid out page after page about it, from tricks and tips, to strategy guides and history. Ken himself was a solitary fellow, who didn't like to be bothered, and hated answering questions about Street Fighter II. He just wanted to be left alone to work, and didn't seem to like people. As fate would have it I ended up sitting next to Ken in the office. I actually found him to be a really nice guy despite the first impressions I got from him. Ken liked me I think because I didn't play Street Fighter II along with the rest of the office, and didn't bother him with questions about it. Occasionally Ken would need someone to assist him with capturing gameplay images from Street Fighter II. Since I sat next to him, and he knew I wouldn't bother him with the nuances of the game, he'd ask me to help out. He'd teach me certain moves and I'd execute them while he captured the images. In doing this day after day, I slowly began to understand what the rest of the office saw in the game and began to play and enjoy it myself. However, I was always careful not to overstay my welcome with Ken, even though I was now a huge fan of his work with Street Fighter II. I was fortunate enough to be present for the greatest April-Fools joke in gaming history, EGM's infamous Sheng Long trick. This was where EGM's tricks section included a fabricated and convoluted method to reach the final boss. If you did it right, a "hidden" character named Sheng Long would appear and defeat the last boss in an instant, and then fight YOU! This idea and all the Photoshop design work was done by Ken. He used pieces of other characters, re-colored and pieced together to create a very convincing looking new character who was able to execute the moves of all the other characters in the game. As I sat next to Ken and watched this idea take shape, I suggested that when Sheng Long executes one of the game's signature moves, the Dragon Punch, Ken should add flames to the punch. I'd noticed that the game's final boss, Vega (or M. Bison if you prefer the U.S. names) had a single frame of animation in his fierce punch where flames came off his fist. He copied and pasted the flaming fist, and Sheng Long gained a FLAMING Dragon Punch. I was always proud of my contribution to the gag, but never imagined it could go further than that. In the weeks that followed the publication of the April 1992 issue of EGM, the gaming world was sent into a frenzy as people dumped quarter after quarter into Street Fighter II machines in a futile effort to duplicate the impossible trick. EGM began to receive letters and calls about the trick. Likewise Capcom, the game's developer apparently had too, as they'd actually changed their corporate voicemail to state that they have no knowledge of the trick and to contact EGM for more information. Oops! We all laughed and felt a bit of pride at Ken's accomplishment. In the months that followed, Capcom announced a new version of Street Fighter II called SUPER Street Fighter II. Among the changes from the original version, it was possible to reach a new "hidden" character that would come out and defeat the final boss in an instant and fight you... Sound familiar? While the hidden character didn't have the flaming Dragon Punch move, they did add flames to Ken's Dragon Punch (Ken the Street Fighter II character, not Ken Williams... Phew, confusing)! So we laughed and patted Ken on the back for making history. But I always tell people I invented the flaming Dragon Punch because of my contribution to the original gag. So how much did an Associate Editor at Sendai make in 1992? I was paid $8 per hour when I started, which with overtime came out to about $600 every two weeks give or take depending on the amount of overtime. Sounds like peanuts right? Wasn't this EGM? Well think about it, in 1992 that was a LOT of money, ESPECIALLY for an 18 year old who dropped out of high school. I remember blowing my first paycheck on a new VCR and a Super Nintendo with F-Zero and Pilotwings. Eventually I'd blow another paycheck on a Super Contra arcade cabinet. Being young, dumb and rich was a bad combination for me.